Versace brand is known for the glamour outfits for women and use of gold and bright, flashy details in their designs. The founder of this fashion company was Gianni Versace and he established the brand in 1978. This designer also was designing costumes for movies. After his tragic death in 1997, sister Donatella took over the brand created by her brother. Versace bags for males contrary to what could be expected are very masculine and there are no flashy extra details otherwise so characteristic to this particular brand. Black leather, rugged shapes and very manly designs - that can be said about the Versace Lamborghini men's bags. 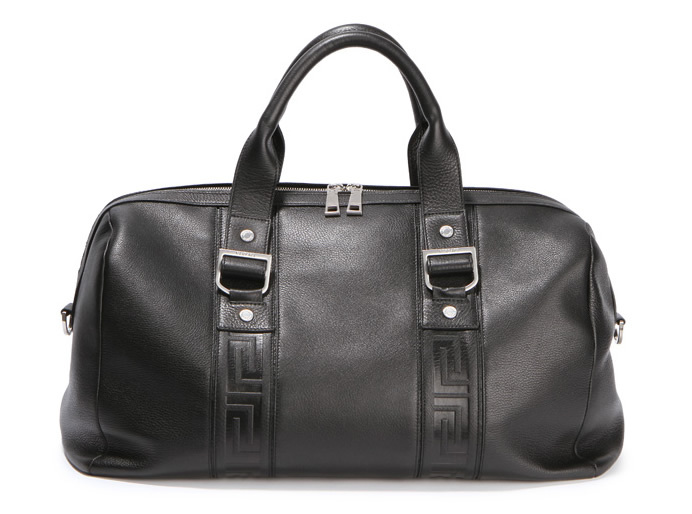 Versace man bags line also has signature logo messenger bags and totes. The messenger bags have the same impeccable style as the other Versace handbags dedicated to men - clean and minimalist looks, fine leathers, great interiors of the handbags with zipped compartments and general comfort in usage. You can buy Versace bag also online, however you always have to be careful to get the authentic handbag for the price. 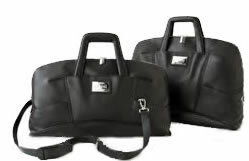 Also you can always purchase Versace laptop bags and travel bags in the brand's boutiques, where it is guaranteed that you will get the real deal. As all designer bags, these are not cheap handbags for men, however the price you are paying is for the quality, utilizability and the fashionability. It is very luxury and very elegant brand for those who are following fashion trends. However if you cannot afford the leather bag from haute couture collections, there are very durable and hard to wear down nylon luggage and carryalls (from the Sport collection) with a price starting at 150 USD.